Viswa Engineering Traders is a one stop shop offering complete solutions when it comes to metal cutting; our extensive range includes Metal cutting bandsaws, High speed circular saws, Bi-metal bandsaw blades, Circular Saw blade, hacksaw blades and coolants. 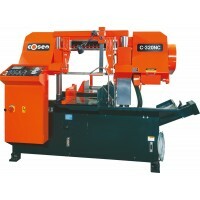 We are the best Dealer of Band Saw Machines and Circular Saw Machines in Tamil Nadu and Bangalore. We offer Metal Cutting and Fabricating Equipment, Tooling, Supplies & Sharpening Service Nationwide at Competitive Prices.Supreme efficiency is blended in this Band Saw Machines and Circular Saw Machines. Our different kind of Sawing Machines are highly appreciable because of their durability and unparalleled service. 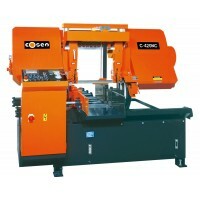 Cosen’s C-300NC is a high production machine which incorporates a massive base, sturdy saw frame, wi.. 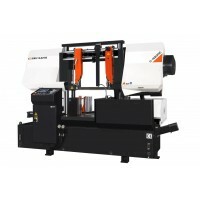 STRUCTURE: Oversized precision ground, large dual columns; Cross link connecting two columns for enh..
Smart NC-100 (SNC100) technology provides most of the benefits of NC controlled saws at a mere frac.. Features:(1) Environment Dry and Clean at cut-off(2) Mass cutting requiremen.. Features: (1) Automatic for Metals (2) Automatic for non-ferrous m.. 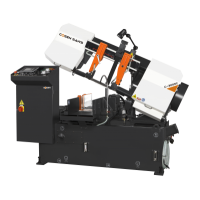 Features:(1) Amazing Precise and High-speed Cutting Speed(2) Mass produc..